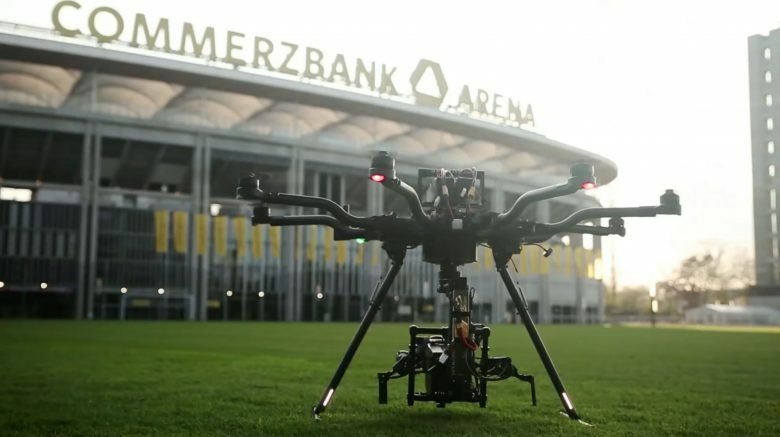 The shoot that lasted for two days at the Commerzbank Arena Frankfurt, was not only a home game for us but also a special job. Two special camera rigs came to action. 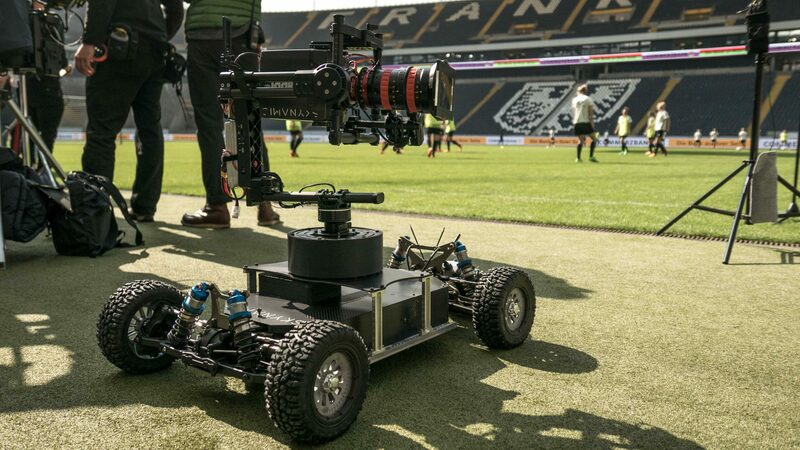 Not only our Alta 8 octocopter with Arri Alexa Mini and Angenieux 16-42mm Zoom lens, also our custom built vehicle with the same setup was used with the DFB women team on the grass. Shots close to the soccer ball, close above the ground and high speed shots were manageable with the RC Car. Also a low angle tracking shot like the one in this Version of the video. As you can see in the pictures below, we also used the drone as some sort of spider-cam.